Bethany Brookshire (Editor) is an award-winning science writer at Science News and Society for Science & the Public. She runs the Scicurious blog and is the web producer and social media manager for Science News for Students. 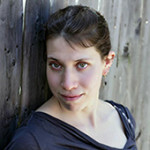 She is also the guest editor of The Open Lab Anthology: The Best Science Writing Online, 2009. Bethany is based in Washington, DC. Find her at her website, or follow her on Twitter @scicurious. Jason G. Goldman (Editor) is a freelance science writer. He has written for Scientific American, Los Angeles Magazine, The Washington Post, the Guardian, Slate, Salon, io9, BBC Earth, Earth Touch News Network, and elsewhere. He contributes each week to Conservation Magazine, and is a columnist for BBC Future. Jason is based in Los Angeles, Calif. Find him at his website, or follow him on Twitter @jgold85. Christie Wilcox (Editor) is a science writer and social media specialist. She is a postdoctoral researcher at the University of Hawaii, Manoa, where she uses molecular biology techniques to study venoms. 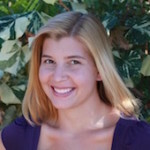 She is also a writer at Discover Blogs, where she authors the blog Science Sushi. Christie is based in Honolulu. Find her on her website or follow her on Twitter @nerdychristie. Rhett Allain (Contributor) is a physics professor at Southeastern Louisiana University. He also writes the blog Dot Physics at Wired, and is the author of the Turner Publishing book Geek Physics. Rhett is based in Hammond, Louisiana. Find him at his blog, or follow him on Twitter @rjallain. Karl Leif Bates (Contributor) is the Director of Research Communications at Duke University. He’s a former newspaper journalist and current public information officer (PIO). Karl is based in Durham, North Carolina. Find him at research.duke.edu and the Duke Research Blog. Khalil A. Cassimally (Contributor) is the community coordinator of The Conversation UK. He previously worked on science blogging networks for Nature Publishing Group and has blogged regularly for Scientific American, Nature, and others. Khalil is based in Mauritius. You can find him on his Facebook page, or follow him on Twitter @notscientific. Kate Clancy (Contributor) is an assistant professor of anthropology at the University of Illinois Urbana-Champaign. She has conducted high-profile research which highlights some of the issues that women face in academic research environments. She has previously written for Scientific American Blogs, and now blogs for her own site. Kate is based in Urbana-Champaign, Illinois. Find her on her site, or follow her on Twitter @KateClancy. Rose Eveleth (Contributor) is a freelance producer, designer, writer, and animator. She has written and produced for The Atlantic, BBC Future, Nautilus, NOVA, and others. She is also the founder of Science Studio, a place for science multimedia, an editor at Story Collider, a science podcast, and the founder of the podcast Meanwhile in the Future. Rose is based in Brooklyn, New York. Find her on her website, or follow her on Twitter @roseveleth. Zen Faulkes (Contributor) is a neuroethologist at the University of Texas Rio Grande Valley. He runs the blogs Neurodojo and Better Posters. He is also author of the eBook Presentation Tips. Zen is based in Edinburg, Texas. Find him at his website, or follow him on Twitter @doctorzen. Greg Gbur (Contributor) is an associate professor of physics and optical science at the University of North Carolina at Charlotte. He writes about physics, optics, and the history of science at his blog Skulls in the Stars. His blog writing has appeared in The Open Laboratory: The Best Science Writing Online 2010 and 2013 as well as the Best Science Writing Online in 2012. Greg is based in Charlotte, North Carolina. Find him at his website, or follow him on Twitter @drskyskull. Joe Hanson (Contributor) is the creator of the PBS Digital Studios YouTube series and website It’s Okay to be Smart. He has also written for Scientific American, Nautilus, and Wired, and his writing has been featured in The Open Laboratory. Joe is based in Austin, Texas. Find him at his website, or follow him on Twitter @jtotheizzoe. Peter Janiszewski (Contributor) is a writer, researcher, and blogger. He’s co-founder of the health blog Obesity Panacea on PLOS Blogs and Science of Blogging, a blog focusing on ways social media can be used in science communication. Peter is based in Toronto, Canada. Find him at his website, or follow him on Twitter @Dr_Janis. Paige Jarreau (Contributor) is a science blogger and blog manger at SciLogs.com, where she authors the blog From The Lab Bench. She has a PhD from the Manship School of Mass Communication, where she studied science blogging practices for her dissertation. She has been named the LSU Manship School’s Lamar Visiting Scholar for 2015-16. Paige is based in Baton Rouge, Louisiana. Find her at her blog, or follow her on Twitter @FromTheLabBench. Danielle N. Lee (Contributor) is a postdoctoral researcher at Cornell University. She also runs the blog The Urban Scientist at Scientific American Blogs. Danielle was named one of the White House Champions of Change in STEM Diversity and Access in 2014, is one the 2014 Ebony power 100, and is a 2015 TED fellow. Danielle is based in Ithaca, New York. Find her at her website, or follow her on Twitter @DNLee5. Ben Lillie (Contributor) is the founder and director of The Story Collider, where people tell stories about their personal experiences with science. He is also a Moth StorySLAM champion and a former writer for TED.com. Ben is based in New York, New York. Find him at his Tumblr, or follow him on Twitter @benlillie. Glendon Mellow (Contributor) is a fine artist and illustrator. His artwork is featured in science blogs, magazines, books and exhibits and Mellow also gives talks about social media & art promotion and the growing field of sciart. He writes the blog The Flying Trilobite and is part of Symbiartic, on the Scientific American Blogs. Glendon is based in Toronto, Canada. Find him on his website, or follow him on Twitter @FlyingTrilobite. Liz Neeley (Contributor) is the executive director of The Story Collider. Previously, she was Assistant Director of Science Outreach for COMPASS. She creates and leads science communication training workshops around the country, with emphasis on traditional and social media. Liz is based in Washington, DC. Find her on her website or follow her on Twitter @LizNeeley. Alberto Roca (Contributor) is executive director of the nonprofit DiverseScholar. He is also founding editor of the web portal MinorityPostdoc.org, founded the postdoc committee of the Society for the Advancement of Chicanos and Native Americans in Science, and co-founded the diversity committee of the National Postdoctoral Association. Alberto is based in Southern California. Find him on his site, or follow him on Twitter @MinorityPostdoc. Travis Saunders (Contributor) is an assistant professor in the department of applied human sciences at the University of Prince Edward Island. He’s co-founder of the health blog Obesity Panacea on PLOS Blogs and Science of Blogging, a blog focusing on ways social media can be used in science communication. Travis is based in Prince Edward Island, Canada. Find him at his website, or follower him on Twitter @TravisSaunders. Colin Schultz (Contributor) is an editor at Hakai Magazine. He has also written for Smithsonian magazine and for the American Geophysical Union’s newspaper, Eos. Colin is based in Ontario, Canada. Find him at his website, or follow him on Twitter @_ColinS_. Marie-Claire Shanahan (Contributor) is an associate professor and research chair in science education and public engagement at the Werklund School of Education at the University of Calgary. She is a blogger at Boundary Vision, and has written for Scientific American Blogs, Story Collider Magazine, the American Physical Society News, and Science and Children. Marie-Claire is based in Calgary, Canada. Find her at her website, or follow her on Twitter @mcshanahan. Matt Shipman (Contributor) is a science writer and public information officer at North Carolina State University. He writes the Communication Breakdown blog for Scilogs.com, and is the author of The Handbook for Science Public Information Officers (2015, University of Chicago Press). Matt is based in Raleigh, North Carolina. Find him at his blog, or follow him on Twitter @shiplives. Janet Stemwedel (Contributor) is a non-practicing chemist and chair of the philosophy department at San Jose State University. Her work focuses on scientific knowledge-building and ethics. She also writes for Forbes, authors the blog Adventures in Ethics and Science, and has written for Scientific American Blogs. Janet is based in San Jose, California. Find her at her website, or follow her on Twitter @docfreeride. Brian Switek (Contributor) is the writer of popular science books on paleontology, including Written in Stone, My Beloved Brontosaurus, and the children’s book Prehistoric Predators. 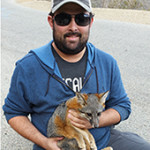 His blog is hosted by National Geographic, he has written for National Geographic, Slate, and Nature, among others, is the science writer for the Jurassic World website, and is the host of Dinologue.com’s video series Dinovision. Brian is based in Salt Lake City, Utah. Find him at his website, or follow him on Twitter @Laelaps. Melanie Tannenbaum (Contributor) has a PhD in social psychology from the University of Illinois at Urbana-Champaign. She blogs at PsySociety at Scientific American Blogs. Her writing has also been featured in Scientific American, In-Mind Magazine, and The Open Lab 2012. Melanie is based in Northern California. Find her at her website, or follow her on Twitter @melanietbaum. Emily Willingham (Contributor) is a medical writer and freelance writer. She blogs at Forbes, and has co-authored a book on evidence-based parenting, The Informed Parent, due for publication in 2016 by Perigee Books/Penguin. Emily is based in San Fransisco, California. Find her at her website, or follow her on Twitter @ejwillingham. Ed Yong (Contributor) is an award-winning science writer for The Atlantic. His blog Not Exactly Rocket Science is hosted by National Geographic. His work has also appeared in Wired, Nature, the BBC, New Scientist, the Guardian, the Times, Aeon, Discover, Scientific American, and elsewhere. Ed is based in London, England. Find him on his website, or follow him on Twitter @edyong209. Carl Zimmer (Contributor) is an award-winning freelance writer. He has written more than a dozen books about science including Evolution: The Triumph of an Idea and Parasite Rex, and has written for many outlets, including National Geographic, Wired, and The Atlantic. He writes a weekly column for The New York Times, and his blog is hosted by National Geographic. He also lectures at Yale University. Carl is based in Connecticut. Find him on his website, or follow him on Twitter @carlzimmer. 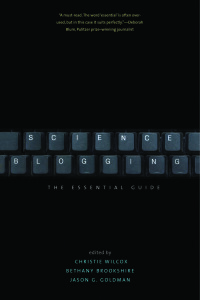 Science Blogging: The Essential Guide reflects the collaborative potential and global nature of the Internet. Our contributors come from four countries, nine U.S. states, and three Canadian provinces. We span a total of 15 time zones from west (Hawaii) to east (Mauritius).